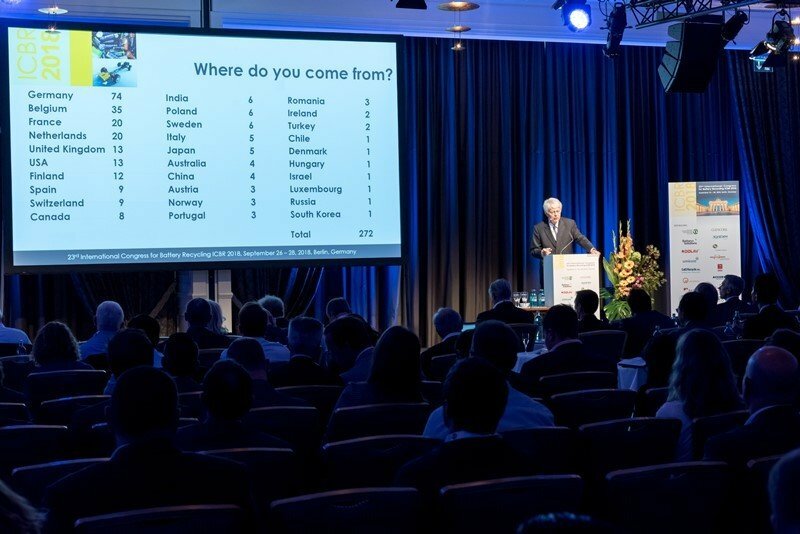 These were just some of the topics discussed at this year’s International Congress for Battery Recycling ICBR 2018, which took place in Berlin from September 26 to 28. Around 270 experts attended the annual industry meeting – more than ever before. The congress was kicked off by Professor Kerstin Kuchta from Hamburg University of Technology. She spoke about the market for batteries and the opportunities and challenges that arise for the recycling industry. Two further keynote speeches dealt with the topic of transportation: Didier Marginèdes from the French company Blue Solutions spoke about changes occurring in the transport market – away from delivering transport and towards delivering solutions. Gudula Schwan from the Federal Ministry of Transport and Digital Infrastructure in Germany addressed the importance of hazardous goods regulations for the recycling industry. Again this year, the congress was accompanied by an exhibitors’ forum. Congress attendees had the opportunity to find out which innovations are currently on the market by talking to exhibitors at the venue. And last but not least, there was sufficient opportunity for networking and getting to know one another at the Networking Dinner, which this time took place in the Berlin theatre “Bar jeder Vernunft”. The ICBR 2019 industry meeting will be held in Lyon, France, from September 18 to 20, 2019. Andritz has successfully completed the start up of a Universal Granulator UG supplied to Péna Group in Mérignac, France. 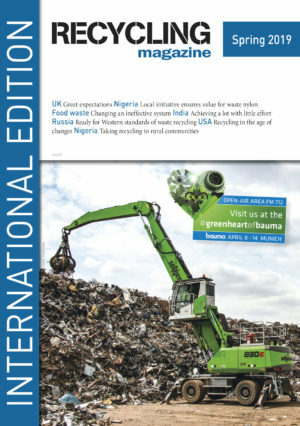 The granulator, which was installed at the existing recycling plant, shreds industrial waste used for the production of Refuse Derived Fuels (RDF).